Season 8 is just around the corner and Fortnite Battle Royale players will be able to earn its Battle Pass for free. Epic Games has done a great job with the latest "Fortnite Battle Royale" patch. The v7.40 patch was released on February 14, and it has brought a lot of changes to the popular video game. The update was originally scheduled to be released on February 13, but the video game developer had to postpone it due to some issue. The wait was worth it, however, as this is one of the biggest patches of season 7. The biggest addition of the patch has to be the Valentine's Day event. This event is unexpectedly big and includes a lot of amazing additions to "Fortnite Battle Royale." One of the best things about it are the Overtime challenges which have been released to the game, and these challenges allow players to earn the Season 8 Battle Pass for free! Yes, you read that right. 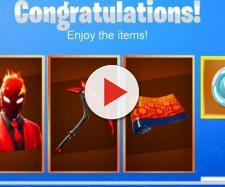 Next season's cosmetic rewards could be completely free, and players have the remainder of the current season to complete the special challenges. 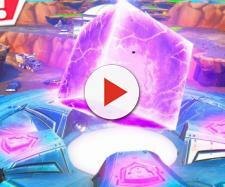 The Battle Pass was introduced with Season 2 of "Fortnite Battle Royale." The first version of this feature had 70 tiers, but Epic Games had later increased it to 100 tiers for every season. This means there are over 100 rewards players can earn, and some of them are exclusive cosmetic items that will never return to the game again. The video game developer has charged 950 V-Bucks for each Battle Pass so far, which is the equivalent of $9.50. However, for the first time in the "Fortnite Battle Royale" history, players will be able to earn the Battle Pass for free and unlock everything that comes with it. To do this, players will have to complete all 13 Overtime challenges. "Everyone who completes 13 free Overtime Challenges by February 27 will receive the upcoming Season 8 Battle Pass for FREE! If you don’t have an outfit, now is your chance to get several for free. With the Battle Pass, you’ll receive two Season 8 Outfits instantly, and you can earn up to five more. Save your V-Bucks, this one’s on us!" is what the "Fortnite" developer posted on the game blog. Players have less than two weeks to complete the Season 7 Battle Pass. By completing the Overtime challenges, "Fortnite Battle Royale" players will unlock special customizable styles for Trog, Powder, and Onesie outfits. This means that every single outfit in the current season has additional styles, which is something we can probably expect to be done in Season 8 as well.